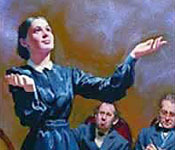 Did Ellen White actually predict September 11? Or did she prophesy of even worse to come? 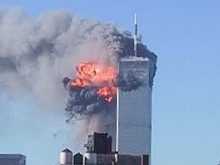 We are rightly horrified by what happened on September 11, but could it get worse than that? Should we expect that other large buildings—even entire cities—will also be destroyed? Men will continue to erect expensive buildings, costing millions of money. Special attention will be called to their architectural beauty and the firmness and solidity with which they are constructed, but the Lord has instructed me that despite the unusual firmness and expensive display, these buildings will share the fate of the temple in Jerusalem. . . . I am bidden to declare the message that cities full of transgression, and sinful in the extreme, will be destroyed by earthquakes, by fire, by flood. All the world will be warned that there is a God who will display His authority as God. His unseen agencies will cause destruction, devastation, and death. All the accumulated riches will be as nothingness. Notwithstanding the scientific care with which men safeguard buildings from destruction, one touch of the great and rightful Ruler will bring to nothingness the idolatrous possessions that have been laid up in a sightly and magnificent display. The devices of men will come to naught.—Manuscript Releases, vol. 21, p. 66-67. The time is near when large cities will be swept away, and all should be warned of these coming judgments.—Last Day Events, p. 111. It is clear that Ellen White not only claimed to see lofty towers being destroyed, but she claimed that many of the most sinful cities would be "destroyed" or "swept away" by disasters including earthquakes, fires, and floods. We suggest that when one considers the whole of Ellen White's statements regarding destruction, she was predicting something much worse than what happened on September 11. Rather than being the fulfillment of Mrs. White's statement in Testimonies, vol. 9, pp. 12, 13 (quoted at the beginning of this article), could it be that the World Trade Center was just a foretaste of what will be the ultimate fulfillment of Ellen White's predictions? As is often the case, readers will get a broader insight into the future by reading the context of the passages quoted above from Testimonies, vol. 9. As you read the more lengthy passage quoted below, you will see that Mrs. White refers not only to the destruction of lofty buildings that have been constructed to satisfy the pride of man, but she also predicted economic turmoil such as we have seen in recent years. The agencies of evil are combining their forces and consolidating. They are strengthening for the last great crisis. Great changes are soon to take place in our world, and the final movements will be rapid ones. On one occasion, when in New York City, I was in the night season called upon to behold buildings rising story after story toward heaven. These buildings were warranted to be fireproof, and they were erected to glorify their owners and builders. Higher and still higher these buildings rose, and in them the most costly material was used. Those to whom these buildings belonged were not asking themselves: "How can we best glorify God?" The Lord was not in their thoughts. The scene that next passed before me was an alarm of fire. Men looked at the lofty and supposedly fire-proof buildings and said: "They are perfectly safe." But these buildings were consumed as if made of pitch. The fire engines could do nothing to stay the destruction. The firemen were unable to operate the engines. I am instructed that when the Lord's time comes, should no change have taken place in the hearts of proud, ambitious human beings, men will find that the hand that had been strong to save will be strong to destroy. No earthly power can stay the hand of God. No material can be used in the erection of buildings that will preserve them from destruction when God's appointed time comes to send retribution on men for their disregard of His law and for their selfish ambition. There are not many, even among educators and statesmen, who comprehend the causes that underlie the present state of society. Those who hold the reins of government are not able to solve the problem of moral corruption, poverty, pauperism, and increasing crime. They are struggling in vain to place business operations on a more secure basis. If men would give more heed to the teaching of God's word, they would find a solution of the problems that perplex them. The Scriptures describe the condition of the world just before Christ's second coming. Of the men who by robbery and extortion are amassing great riches, it is written: "Ye have heaped treasure together for the last days. Behold, the hire of the laborers who have reaped down your fields, which is of you kept back by fraud, crieth: and the cries of them which have reaped are entered into the ears of the Lord of Sabaoth. Ye have lived in pleasure on the earth, and been wanton; ye have nourished your hearts, as in a day of slaughter. Ye have condemned and killed the just; and he doth not resist you." James 5:3-6. But who reads the warnings given by the fast-fulfilling signs of the times? What impression is made upon worldlings? What change is seen in their attitude? No more than was seen in the attitude of the inhabitants of the Noachian world. Absorbed in worldly business and pleasure, the antediluvians "knew not until the Flood came, and took them all away." Matthew 24:39. They had heaven-sent warnings, but they refused to listen. And today the world, utterly regardless of the warning voice of God, is hurrying on to eternal ruin. The world is stirred with the spirit of war. The prophecy of the eleventh chapter of Daniel has nearly reached its complete fulfillment. Soon the scenes of trouble spoken of in the prophecies will take place. "Behold, the Lord maketh the earth empty, and maketh it waste, and turneth it upside down, and scattereth abroad the inhabitants thereof. . . . Because they have transgressed the laws, changed the ordinance, broken the everlasting covenant. Therefore hath the curse devoured the earth, and they that dwell therein are desolate. . . . The mirth of tabrets ceaseth, the noise of them that rejoice endeth, the joy of the harp ceaseth." Isaiah 24:1-8. "Alas for the day! for the day of the Lord is at hand, and as a destruction from the Almighty shall it come. . . . The seed is rotten under their clods, the garners are laid desolate, the barns are broken down, for the corn is withered. How do the beasts groan! the herds of cattle are perplexed, because they have no pasture; yea, the flocks of sheep are made desolate." "The vine is dried up, and the fig tree languisheth; the pomegranate tree, the palm tree also, and the apple tree, even all the trees of the field, are withered: because joy is withered away from the sons of men." Joel 1:15-18, 12. "I am pained at my very heart; . . . I cannot hold my peace, because thou has heard, O my soul, the sound of the trumpet, the alarm of war. Destruction upon destruction is cried; for the whole land is spoiled." Jeremiah 4:19, 20. "I beheld the earth, and, lo, it was without form, and void; and the heavens, and they had no light. I beheld the mountains, and, lo, they trembled, and all the hills moved lightly. I beheld, and, lo, there was no man, and all the birds of the heavens were fled. I beheld, and, lo, the fruitful place was a wilderness, and all the cities thereof were broken down." Verses 23-26. Not all in this world have taken sides with the enemy against God. Not all have become disloyal. There are a faithful few who are true to God; for John writes: "Here are they that keep the commandments of God, and the faith of Jesus." Revelation 14:12. Soon the battle will be waged fiercely between those who serve God and those who serve Him not. Soon everything that can be shaken will be shaken, that those things that cannot be shaken may remain. Satan is a diligent Bible student. He knows that his time is short, and he seeks at every point to counterwork the work of the Lord upon this earth. It is impossible to give any idea of the experience of the people of God who shall be alive upon the earth when celestial glory and a repetition of the persecutions of the past are blended. They will walk in the light proceeding from the throne of God. By means of the angels there will be constant communication between heaven and earth. And Satan, surrounded by evil angels, and claiming to be God, will work miracles of all kinds, to deceive, if possible, the very elect. God's people will not find their safety in working miracles, for Satan will counterfeit the miracles that will be wrought. God's tried and tested people will find their power in the sign spoken of in Exodus 31:12-18. They are to take their stand on the living word: "It is written." This is the only foundation upon which they can stand securely. Those who have broken their covenant with God will in that day be without God and without hope. The worshipers of God will be especially distinguished by their regard for the fourth commandment, since this is the sign of God's creative power and the witness to His claim upon man's reverence and homage. The wicked will be distinguished by their efforts to tear down the Creator's memorial and to exalt the institution of Rome. In the issue of the conflict all Christendom will be divided into two great classes, those who keep the commandments of God and the faith of Jesus, and those who worship the beast and his image, and receive his mark. Although church and state will unite their power to compel all, "both small and great, rich and poor, free and bond," to receive the mark of the beast, yet the people of God will not receive it. Revelation 13:16. The prophet of Patmos beholds "them that had gotten the victory over the beast, and over his image, and over his mark, and over the number of his name, stand on the sea of glass, having the harps of God," and singing the song of Moses and the Lamb. Revelation 15:2. Fearful tests and trials await the people of God. The spirit of war is stirring the nations from one end of the earth to the other. But in the midst of the time of trouble that is coming,--a time of trouble such as has not been since there was a nation,--God's chosen people will stand unmoved. Satan and his host cannot destroy them, for angels that excel in strength will protect them.—Testimonies, vol. 9, p. 11-17. If Ellen White's "vision" was inspired by God, should we view the tragedy of September 11 as a catastrophe that may never be repeated? Or should we see it as a foretaste of worse things to come? Further reading: In a companion article, we have analyzed how the September 11 Terrorist Attack bears a striking resemblence to some of the things that Ellen White wrote.